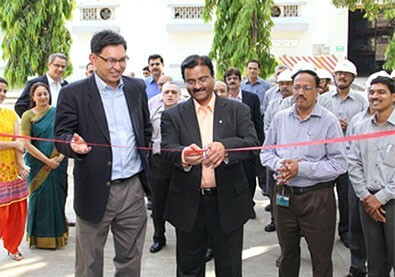 Clariant, a world leader in specialty chemicals, held a ribbon-cutting ceremony on April 10, 2014 to mark the opening of its new 10 million INR Roha, India Mining Lab complex, located in the Western Indian state of Maharashtra. 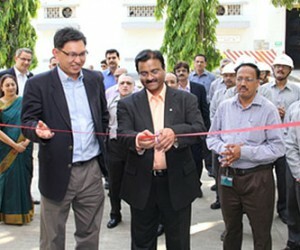 The new Clariant lab offers the capabilities of evaluating the performance of Clariant Mining Solutions chemistry, designed specifically to suit the unique requirements of Indian ores and address the challenges operators face in the recovery of fine mineral grains at various grades. The changing mineral processing environment in India is creating opportunities for flotation and adjacent technologies as well as the need for technical services at both the laboratory and plant scale. The new Clariant Mining Solutions Lab is capable of receiving the run of mine (ROM) ore from mining operations throughout India to cost-effectively evaluate the performance of Clariant chemical agents developed to boost mineral grade and recovery. The lab is well equipped with all the standard equipment required in the performance evaluation of Clariant’s chemical agents, including a Feed Preparation (Size Reduction Equipment), Floation Cells and Drying & final Product Preparation.